CC Imaging has answered the call to all those searching for professional Lomography processing and printing at 'plastic prices'! Spinner, sprocket rocket and diana, we do it all. No more missing spockets or limited sizes! If you've just grabbed your first camera and shot your virgin roll, why not send it to us for professional packages at lens cracking prices. Forget synthetic software, go analogue! We don’t live in a perfect world, that is the beauty of life. Minor imperfections, long shadows and lens flare are not usually the subjects for many but lomography has a way of inspiring the mundane. Seeing what is special, beautiful in everyday ‘somethings’. Whilst the rest of the world rushes forwards into a personal, digital revolution, it’s a great change of pace to slow down and shoot some film. We don’t need the greatest camera, the sharpest lens or the most securely sealed back, idiosyncrasies add character and that is what we love about lomography. If you’ve shot your first roll on your new Diana or maybe something a bit more exotic like a sprocket rocket, it can be hard to find a lab capable of handling the eccentric lomography formats. Going the extra mile, we don’t charge for speed changes or cross processing so you can stay within a small budget and still receive a complete service. Have your film scanned to share it through your social networks or even order large panoramic prints from the wide angle lomo cameras. 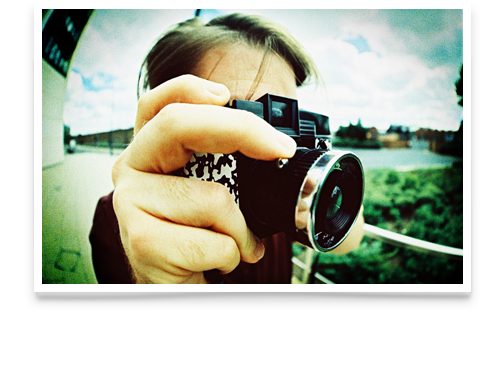 Our lomography package deals are all keenly priced to make using film as accessible as digital. Return postage (from us to you) is our standard 2nd class Royal Mail service at £2.50 per roll. For our full range of postal options, please see this guide. It’s cheap, hollow and looks like plastic. That’s Diana! This budget wonder is a great way to break into lomography. Not only is it available in a range of colours and styles, it is fantastically flexible with the ability to shoot 35mm and 120 film. Marvellous. For when ‘regular’ just isn’t wide enough. For those wanting to ‘see the big picture’, little can beat the Horizon or Sprocket Rocket Lomography cameras. Horizon is a real wonder which uses a rotating lens to capture a panoramic view. Sprocket Rocket is a tad more traditional (not only in looks) featuring a wid angle fixed lens. Small prints are sized at 6xRIP inch and small scans have a pixel density of 1800 pixels x RIP pixels. Large prints are sized at 12×RIP inch and large scans have a pixel density of 3600 pixels x RIP pixels. * RIP = Rest in Proportion. This means if the width (longest side) is 6 inches, the height (shortest side) will match according to the ratio of the frame size you shot. For a look that’s older than ’66, Lomokino is a silent success. HD, 4K, LED… today’s ever expanding digital technologies provide crisper, richer video than ever before. BUT… is that really what we want? Well, maybe not all the time. If you love the narrative purity found in ‘pre-talkies’ cinematogrpahy, the Lomokino will soon become your best friend. Choose process & scan (to chop and create your own video) or process, scan & avi to receive a ‘ready to play’ video file. Our ‘small’ scan/avi packages are packed with detail and make your Lomokino movie practically HD 1080p. Small scans have a pixel density of 1800 pixels wide x RIP* pixels. Large scans have a pixel density of 3600 pixels wide x RIP* pixels. * RIP = Rest in Proportion. This means if the width (longest side) is 1800 pixels, the height (shortest side) will match according to the ratio of the frame size you shot.